Rental Markets: What Makes a Good One? 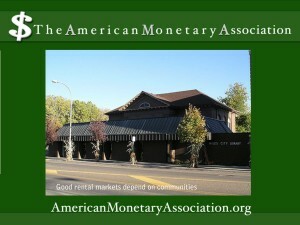 A recent CNBC report discussed the rental real estate market and the new profile of the hottest market in real estate. According to the report, the fallout from distressed properties continues, with over 5 million loans falling into foreclosure or with properties already on the market in 2012. For investors following Jason Hartman's advice to diversify holdings in different markets, that means houses to purchase and renters to find in areas all across the country. But every rental market is unique, with its own profile that arises from a context that’s shaped by location, a neighborhood’s profile, and the kind of renter pool that yields the right tenants for the property. Another factor to consider is the overall economic profile of the city and even the state where the property is located. Ongoing development in key areas such as commerce and housing, suggest a belief in future growth. Likewise if the state where the property is located is suffering a downturn due to natural or economic factors, the likelihood of finding a relatively large pool pf desirable tenants shrinks.